Hiking in the hills, telling stories around a campfire, sleeping in tents, taking pictures of wildlife, identifying snow leopard poop… Wait a minute, snow leopard poop? 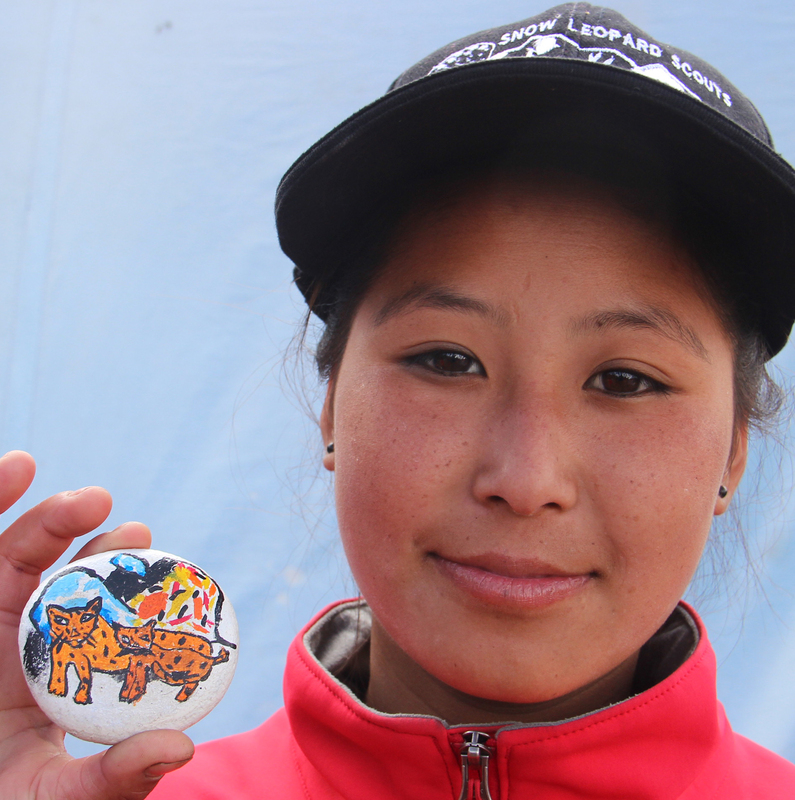 This summer camp obviously isn’t happening in the United States! 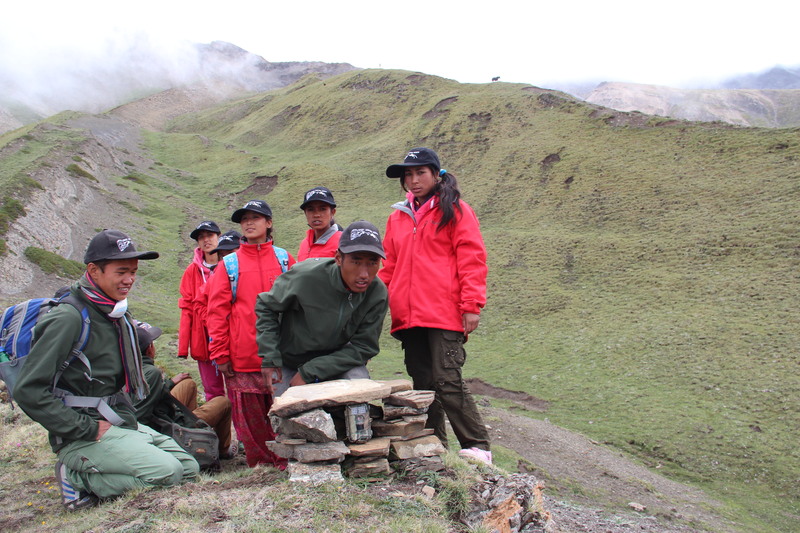 Our Snow Leopard Scouts Program in Nepal recently initiated eleven new Scouts in the Annapurna area of Lower Mustang. Tradition has it that once a new group of Scouts have been signed on, they head off into the mountains with teachers, biologists, and SLC staff for a three-day Environmental Camp to use the “field as a classroom.” So, on July 2, their learning adventure began with a five-hour trek up into the mountains near Jomsom to set up camp. 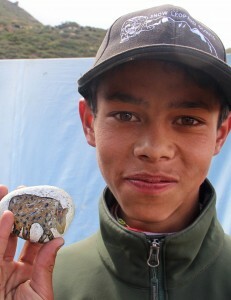 The purpose of the Snow Leopard Scouts Program is to create a network of young Snow Leopard Scouts along the Himalayas of Nepal who help mitigate people-wildlife conflicts, spread the word on species and ecosystem protection, promote conservation, and actually monitor snow leopard via remote camera-traps and other means, at both local and regional levels. 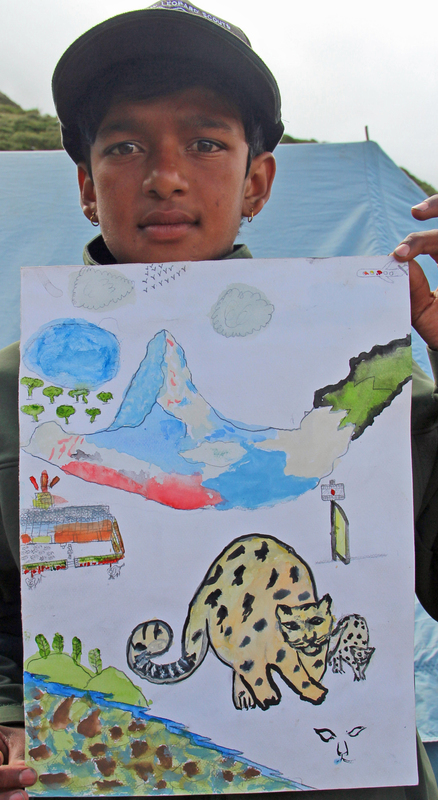 Snow Leopard Conservancy (SLC) in partnership with the National Trust for Nature Conservation (NTNC) has been carrying out Snow Leopard Environmental Awareness Camps since 2011, in Annapurna Conservation Area of Nepal in coalition with Annapurna Conservation Area Project’s (ACAP) field offices. 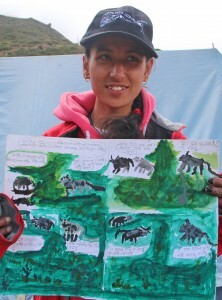 The goal of the camps is to elevate local students’ awareness level of snow leopards and local biodiversity by conducting specially tailored field excursions and camping on snow leopard habitat, thereby delivering a “once-in-a-lifetime experience” featuring wildlife watching, characterizing habitat, remote camera trapping, and other activities such as essay-writing and nature drawings. This camp session enveloped all of these activities along with a new opportunity for the Scouts. 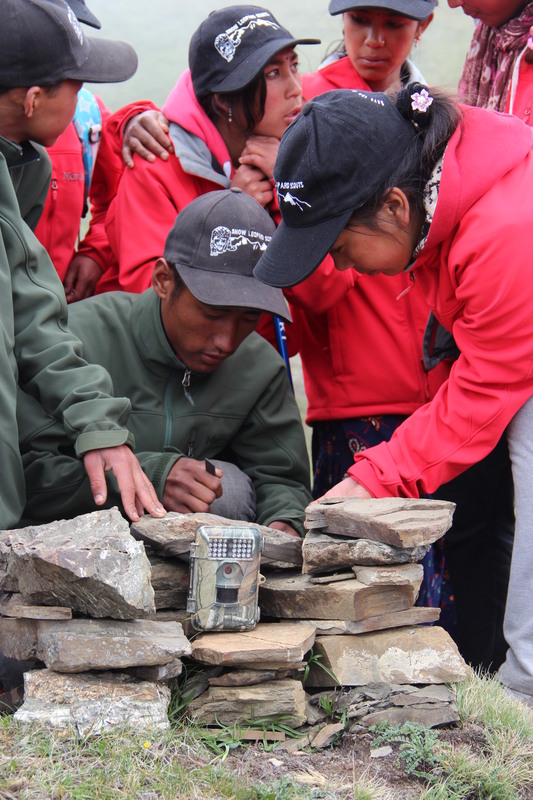 For the first time, Snow Leopard Scouts were able to learn about electronic predator deterrent devices and actually help install a Foxlight for remote herders in the area. 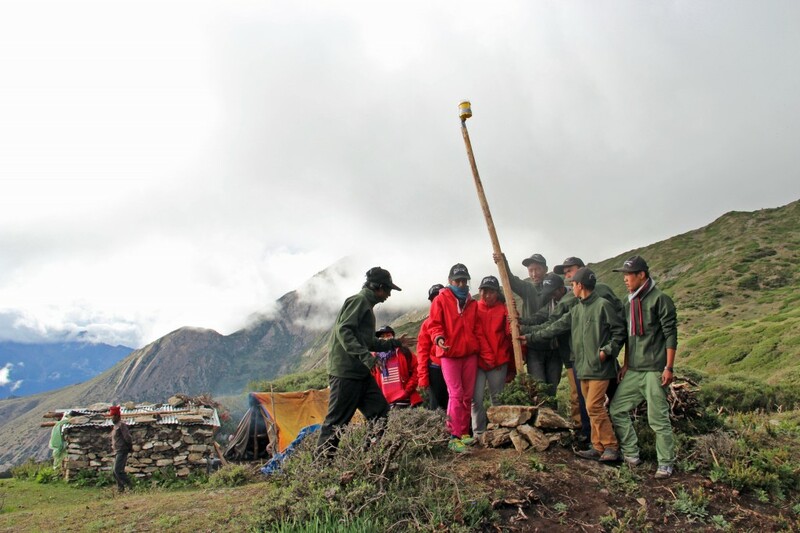 Since electronic deterrents are a new method SLC is trialing for improving human-wildlife conflicts, it is exciting for the Scouts to be participating in our groundbreaking trials of these devices. 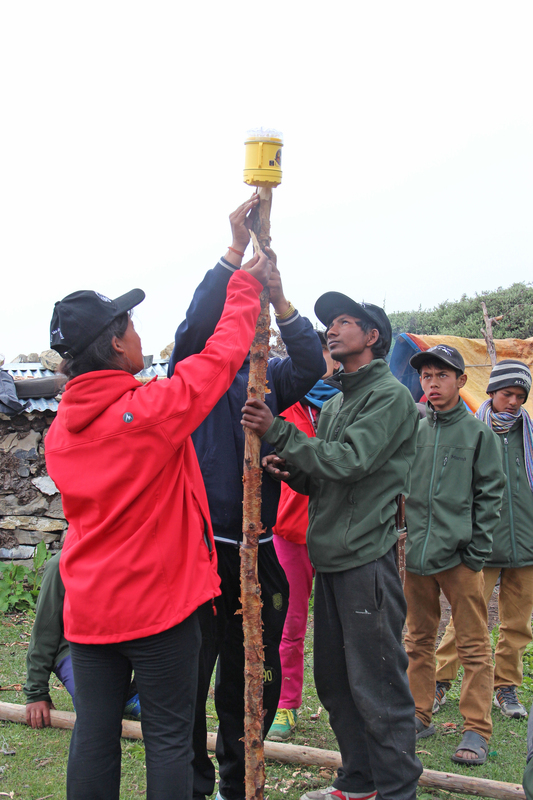 Upon returning from the field, the Scouts joined over one hundred community members and officials in a ceremony celebrating their initiation and a successful Environmental Camp. 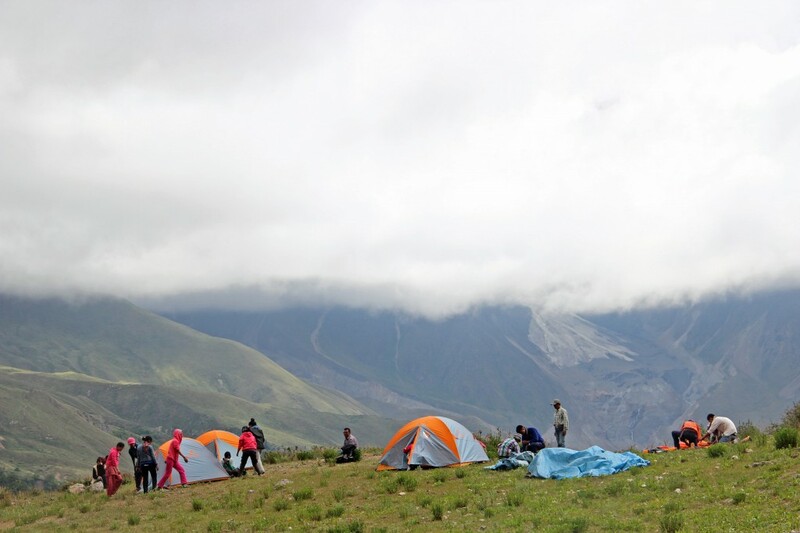 The new Scouts opened the ceremony with a conservation song which the created on their first day at camp, then proceeded to have lively interactions and discussions about their experiences in the field with the other guests. Government officials in attendance delivered encouraging speeches and promised their support in whatever forms necessary to continue the Scouts program. 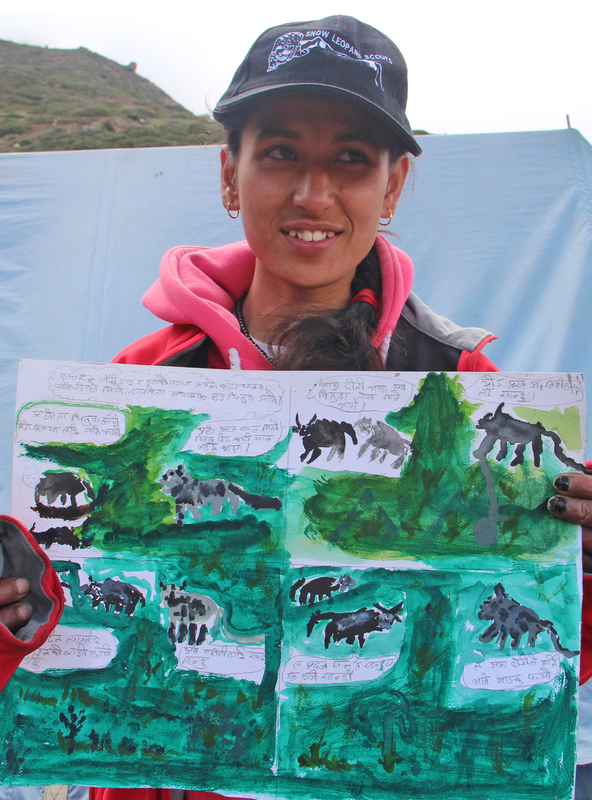 With the Scouts having had such a great experience at Environmental Camp and the officials and community members being so supportive, Snow Leopard Conservancy couldn’t be more pleased with the ongoing success of the Snow Leopard Scouts Program! 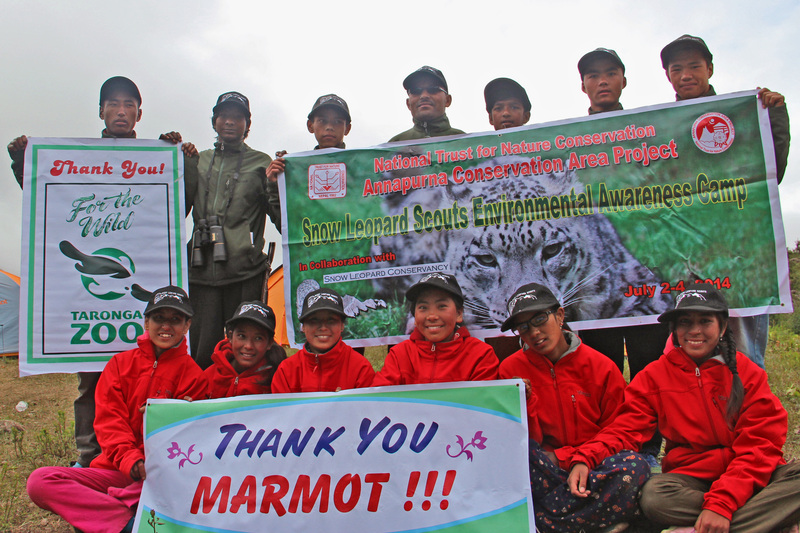 *We would like extend a special thank-you to Taronga Zoo for funding and to Marmot for the donation of tents and rain coats which helped make this Environmental Camp such positive experience for the Scouts!